It is not uncommon to see a lavishly decorated cake as a centre piece at a birthday or some other kind of party, and I always have some decorating ideas waiting for such occasions. But then, there are so many other things to do before guests come, and my plan for decorating a cake slowly moves to the bottom of my to-do list, under more practical considerations like cleaning the house and baking the actual cake. That’s why sometimes we like to make a cake without any occasion and then go all out decorating it. There are no deadlines, and if it doesn’t turn out well, we’re the only ones who will see it. Usually we have a ton of fun! We can spend the whole evening decorating the cake, then give it one last satisfied look and calmly cut it into pieces. First of all, we needed a cake. 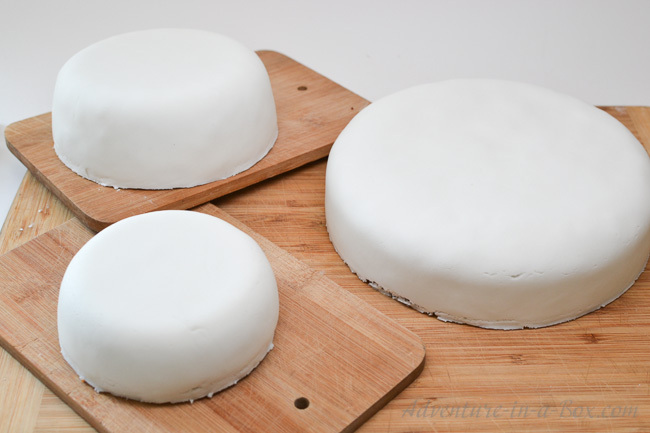 A cake that will be covered with fondant should not be too moist, so it’s best to avoid cheesecakes and mousse cakes. Pound cake, banana cake or carrot cake are often recommended, but there are plenty of alternatives and variations. We went for a carrot cake, because it’s one of our favourites! Here is the recipe we used. Budster really loves baking together right now. If I just come close to the mixer, he rushes towards me with a hopeful, “Bake a cake? Bake a cake!” Immediately after, he starts dragging his stool over there. As I start trusting him with some simple tasks, like breaking an egg or mixing the liquids with a whisk, I enjoy baking together even more. I feel like now we can fully share this hobby. And of course, I can never get enough of his goofy faces, as he tries to lick all the spoons and whisks. 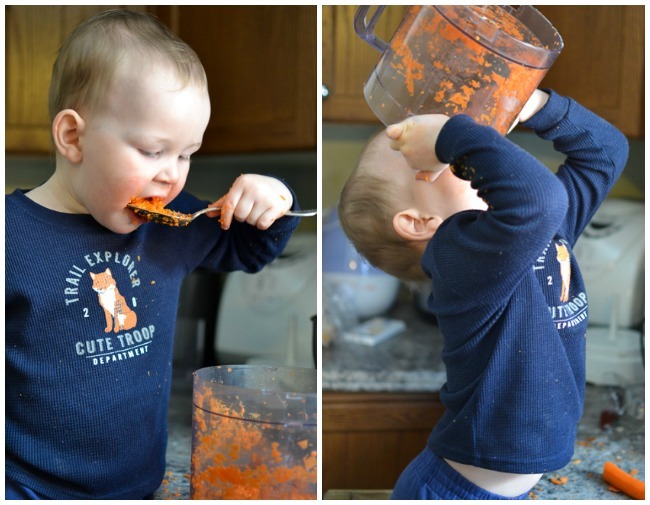 With a carrot cake, he was very determined to clean the bowl of shredded carrots! I didn’t measure them accurately enough before chopping, and we had a lot left. Anyway, baking a cake is a big part of this painting experience! It’s like preparing a frame for a canvas. Finally, the cakes were ready. 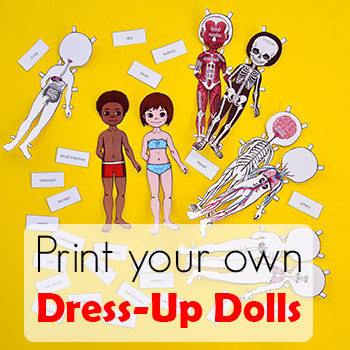 One for each family member to decorate. At that point we weren’t sure whether they’d be individual cakes or we’ll stack them, but just in case we made three different sizes. Our cakes were really quite small. The smallest one was made in a 2-cup tempered glass bowl; the biggest one came out of a 7-inch pan. If making cakes can be compared to building a frame, then covering them with fondant is like stretching a canvas. 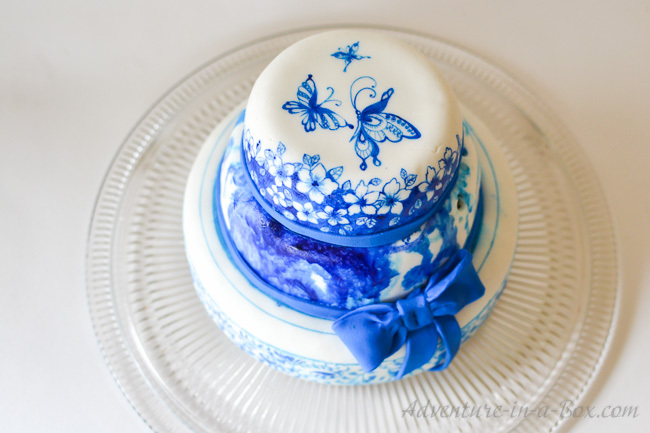 Fondant can be homemade or store-bought . Like most things homemade, that type of fondant usually tastes better, but the only time I tried making it was disastrous. It was all my fault because I wanted to substitute ingredients, but I have yet to regain the courage to give it another go. First, we let the cakes cool off completely. 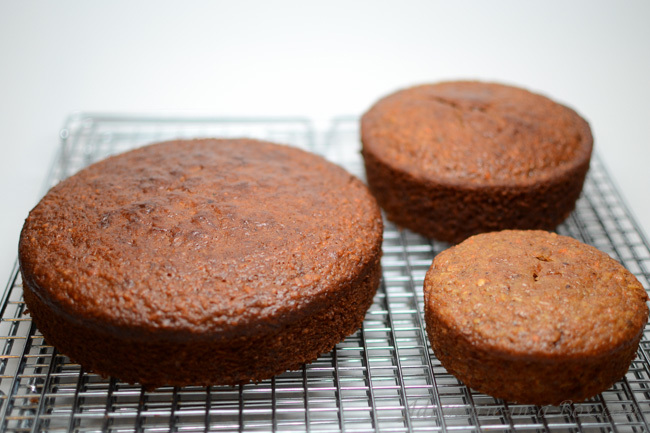 Then we made sure that the cakes were flat on both sides. We had to cut their tops off with a bread knife. I liked this part: otherwise, it would have been a real torture, taking cakes out of the oven and not tasting them! For a perfectly smooth cake, our next step would have been to cover the layers with butter-cream icing to even out the surface, but since we were doing it for fun, we skipped this step. We rolled the fondant into a circle with a rolling pin and used icing sugar to prevent it from sticking to the counter (alternatively, use cornstarch), then lifted it carefully and moved it to the cake. Where the fondant hung over the sides of the cake, it was finessed down so that no wrinkles formed, then the excess was cut off with a knife at the bottom. There are a lot of good articles and video tutorials on covering the cake with fondant. 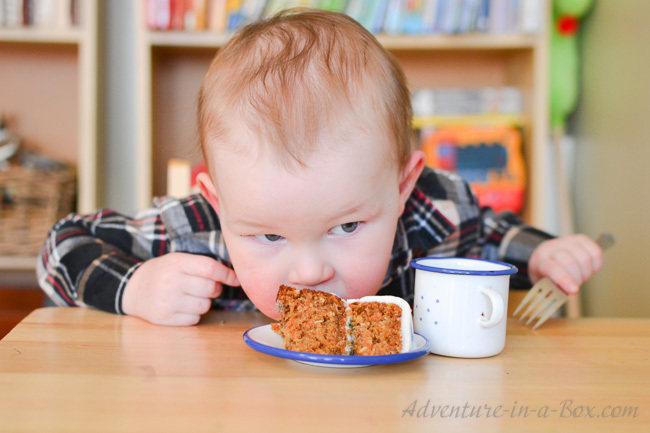 If you haven’t done it before, you may find this article from Moms and Munchkins useful! The cakes were ready to be painted. From my previous experience, I knew that fondant can get quite soft when it’s in contact with moisture. In the past, I tried to decorate a cheesecake with fondant, and after a few hours, my decorations started melting. 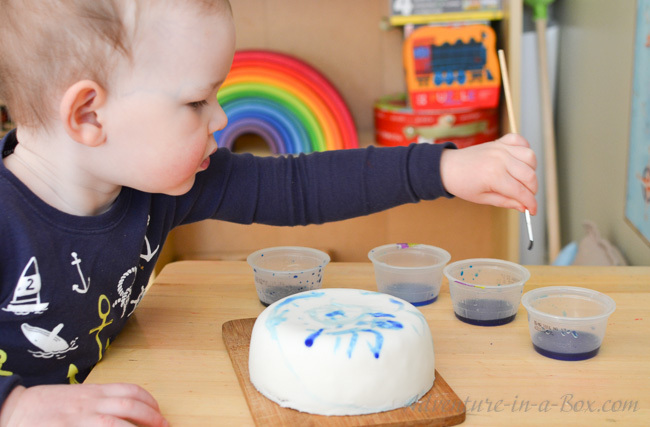 Would it be impossible to paint the cakes, while mixing the food colouring with water? I made an experiment on a small piece, and it turned out well. I used gel food colouring because it had vivid, concentrated colours and because I could regulate the amount of water I was adding to it. Painting with food colouring seemed very similar to painting with watercolours. I used a plate as my palette and added a drop of water if I wanted the colour to be bright. I added more water if I needed a lighter shade, but I tried to keep very little water on the brush. 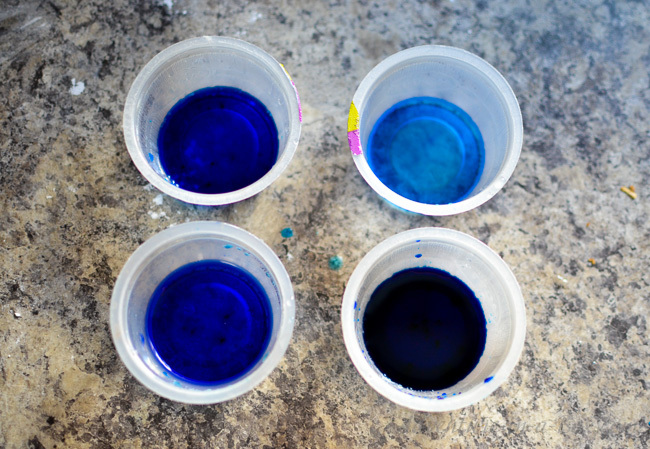 For my son, I premixed several shades and colours in little containers, using the same idea: very little water and several drops of food colouring for dark blue, then more water and less food colouring for the lighter shade. I added purple into one of his cups as well. We used three brushes, and all of them were either new or only used in the kitchen, so as not to have any traces of other paints. By then we decided to try to make a three-layered cake in a blue-and-white colour scheme. Budster got the middle layers because he always likes to be in-between mommy and daddy, and he was very excited to paint his own cake! 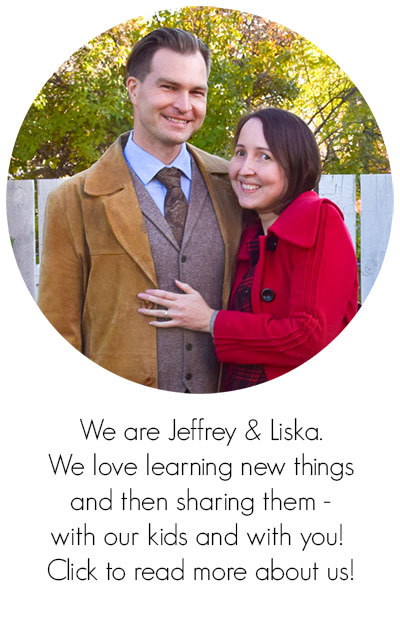 His preferred pattern was “polka dot, polka dot” as he stabbed the cake in several places. Then he announced that he was painting an owl on the side of the cake. All in all, it was an excellent piece of abstract cake art from my two-year-old chef! The top layer was mine to paint. Decorative art is not my strong suit, so I painted a few butterflies flying around flowers. Jeffrey, on the other hand, is comfortable with classic patterns, so he used an improvised compass to lay out lines and then painted a traditional running leaf motif on the bottom layer. I think that our three-layered cake expressed our styles of painting pretty well! Once they dried, which didn’t take long at all, we stacked the layers on top of each other. In the end, I also mixed blue food colouring with leftover fondant and made a couple of ribbons to hide the seams between layers. By the way, it was delicious. 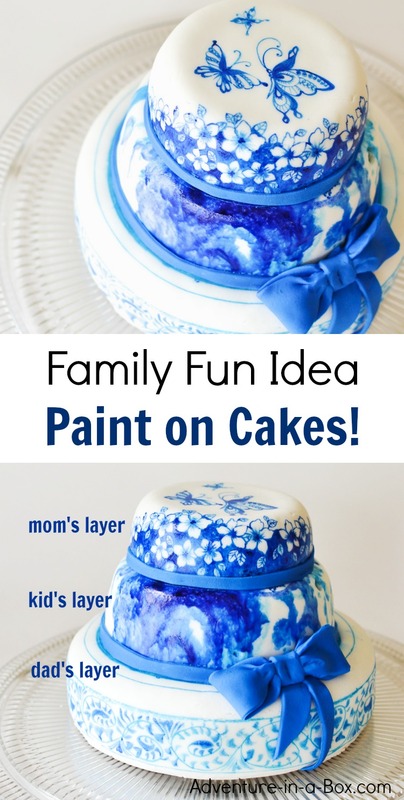 I would love to see the cakes that other families can make together! How many layers would you have to make? Would you choose certain colours or use the whole palette? If you have enough family members, maybe you could make a rainbow cake! 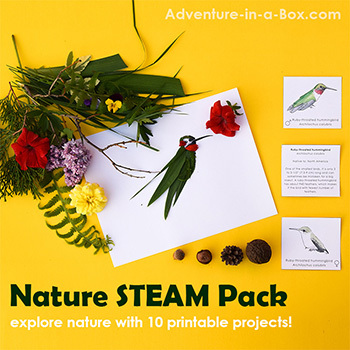 If you want to stay updated on new stories from Adventure in a Box, consider subscribing to our Facebook, Pinterest, or Instagram pages! Wow , this looks amazing. We must give it a go! 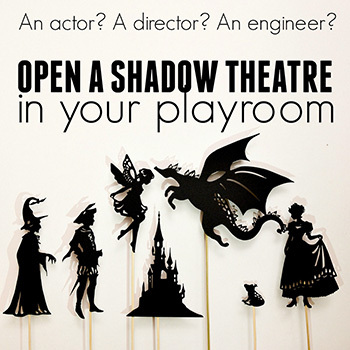 I love this as a family activity!! So fun! I would love to have you share at Sharing Saturday. This week’s party just started. 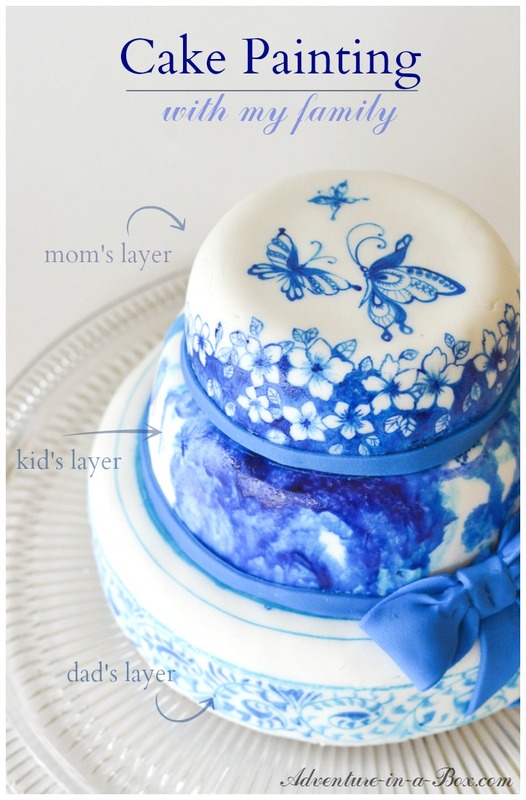 Amazing looking cake…one of my favourite craft activities with kids is one you can eat!